No matter how you write the two syllables: MOTO, MO/TO, or simply moto… Just hearing them sparks a friendly greeting sizzling along neural synapses. You know the ubiquitous meme. Motorola Mobility now owns it. After splitting from the telecoms giant, they hung out with Google for a while and then moved on to Lenovo. Though rebranded as Moto by Lenovo, the new name didn’t stick because the name Motorola conveys tons of worldwide wireless tech cachet without further embellishment. But we’re here to talk about MOTO merchant accounts that support Mail Order/Telephone Order payment processing. Ecommerce merchants who have yet to embrace this type of processing might want to give it a try. So, let’s take a look at MOTO processing: what it is, why ecommerce merchants might want it in their bag of tricks, and things to know about MOTO merchant accounts. Let’s get on the same page about MOTO processing. In payments industry parlance, MOTO (often written MO/TO) refers to Mail Order/Telephone Order transaction payment processing. Like all other ecommerce transactions, they’re card-not-present (CNP). Products and services are ordered and paid for via mail, e-mail, fax, or telephone without the payment card being physically present (and visible to the merchant) in a store. Like other CNP purchases, MOTO transactions are considered to be at a higher risk for fraud than those made in a store with customer card in hand (card-present). Many merchants accept orders over the phone, and some receive orders in the mail too. Think of all the product catalogs out there! All provide order forms and/or customer service agents to accept telephone orders. You may be thinking: why in this day and age would anyone choose to order something over the phone, or by mail? Shopping online is so easy! Well, yes it is. But not everyone finds it comfortable to put their credit card account information “out there” because they perceive a higher risk to entering credit card or banking details online. Also, some shoppers prefer to talk to a live person before placing an order. They might have questions or concerns about a certain product and require more information before completing the purchase. Such customer resistance to online ordering can lead to lower sales revenue — not something most merchants want to contemplate. MOTO merchant accounts are the ideal solution for overcoming this challenge. So How Do MOTO Transactions Work? Retail transactions take place in a store, with the payment card present. It’s swiped, keyed, or inserted into an EMV chip reader, using a terminal in the store. MOTO transactions occur when the card number arrives through the mail or relayed over the phone. The merchant enters the provided card information through an online gateway or through a terminal. Though the card is not present, purchase information includes certain verification (security) data, such as CVV or CVC2 code, zip code of card registration, billing and shipping addresses, and expiration date. Ecommerce transactions take place when the consumer enters their card information onto the merchant’s website, for processing via the online payment gateway. Verification information is also required for these transactions, with the card holder entering the billing and shipping addresses, CVV or CVC2 code, and expiration date. Merchants wanting to include MOTO capabilities should ensure that their payment processing is set up correctly to include MOTO sales. That’s where MOTO merchant accounts enter the picture. Using a PCI-DSS Level 1 compliant payment gateway. Ideally, your chosen provider of MOTO merchant accounts also specializes in helping their clients manage the risks associated with CNP transactions, including proactive chargeback management and industry leading risk management technologies. When you’re ready to say “hello” to MOTO processing, give MerchAct a shout — and benefit from the secure, streamlined MOTO card processing we offer. 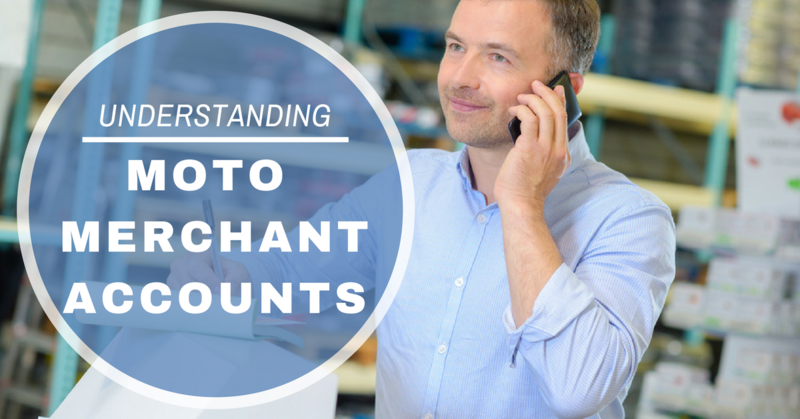 It’s true that running MOTO merchant accounts can be costly in the current marketplace. Many companies charge a high rate for MOTO accounts due to the inherent risk within the industry. But we’re not like other processors. At MerchAct, we’re adept at helping your firm mitigate risk while limiting costs. We understand the security challenges inherent within the process and can offer the latest MOTO service solutions to mitigate these risks. We have many years’ experience supporting business owners in streamlining the processing of remote transactions. We’ll start by learning more about your business and customers. And then devise a MOTO merchant account solution that helps reduce the fraudulent activity risk to your business. Thereby saving you potentially thousands of dollars per year, while improving service to your most valuable customers. And our comprehensive ongoing account management will ensure that you always receive a swift response to account issues that may arise. Our specialists answer questions and provide guidance around the clock. So that you can meet your transaction processing objectives as you grow well into the future. As your business partner, that’s what we hope to see: your success. Because our success depends on yours. Call MerchAct today.